We can’t all be an ace of cakes. 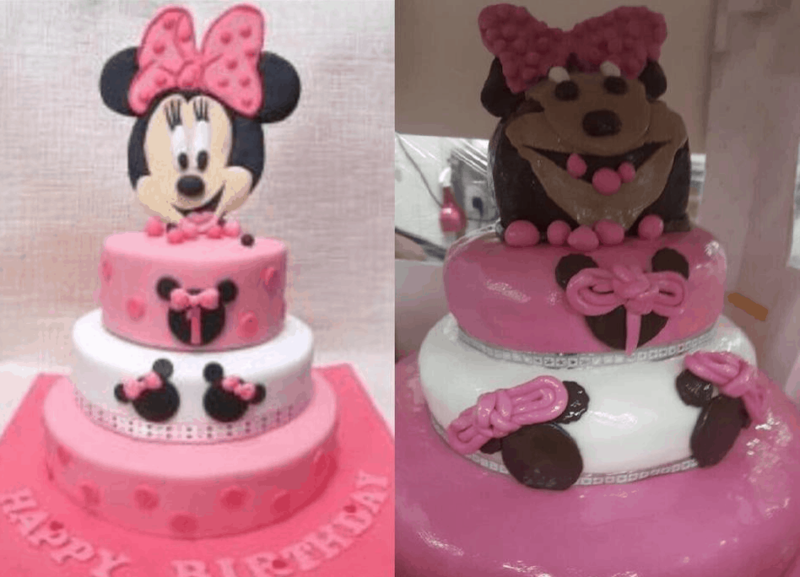 A Redditor named Ehsan recently shared a few photos of a cake she ordered from a local bakery after supplying them with a photo of a cake based on the character of Minnie Mouse. In their defense, they clearly tried to replicate it, but let’s face it, sculpting with icing isn’t an easy task. Hopefully it still tasted good.